How long has electroysis been performed? 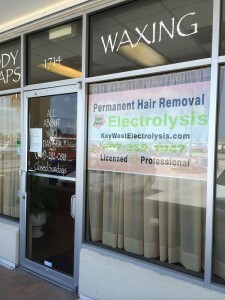 The first research using electrolysis for the permanent removal of hair began in 1869 in St. Louis, Missouri. It was conducted by an ophthalmologist, Dr. Charles Michel, who wanted a safe and effective way to remove ingrown eyelashes which frequently led to blindness. He published his first scientific paper in 1875. Since then electrolysis has been proven by knowledgeable physicians, hundreds of peer-reviewed scientific papers, the AMA and over a million satisfied people as being a permanent and safe method of hair removal. In the electrolysis process I gently insert a small pre-sterilized, single-use, disposable, probe into your hair follicle alongside the hair. The tip of the probe delivers a small electric current from a sensitive electronic device called the epilator to the root of the hair, also called the dermal papilla. The hair root is destroyed either by heat or chemical action or a combination of the two. Galvanic (true electrolysis) – applies direct current to convert normal body salt and water in the follicle into sodium hydroxide which is capable of destroying the cells at the dermal papilla. Thermolysis – applies short wave alternating current to excite water molecules in the follicle, producing heat to coagulate, dessicate, and destroy the dermal papilla. Blend – applies both direct and alternating current, which work together to enhance the destruction of the dermal papilla. Hair can be removed from almost any part of the body. Common areas for women include eyebrows, upper and lower lip, chin, chest, breasts, abdomen, legs, bikini line, hands and feet. Men often have hair removed from the hairline, beard line, shoulders, back, chest, ears and nose. Electrolysis is helpful for treating ingrown hairs which often cause irritation in the beard area. Electrolysis requires a series of treatments which varies from person to person and is dependent on many factors. The density and coarseness of the hair, as well as the total area to be treated are very important. How well you tolerate treatments and the frequency of the treatments affect the overall success. The cause of the unwanted hair and the temporary methods of dealing with your hair in the past will affect treatment time. Many hairs will be permanently removed after the first treatment while some will require additional treatments to achieve permanency. Treatments will be more frequent in the beginning and less frequent later on. I am committed to accomplishing these goals in balance with maintaining your highest comfort level.